After doing a great deal of searching through a few sites including カクヨム (review) and 小説家になろう (review) I found a great series of short stories called “Final Days of Summer” (残夏) by Masaki Hashiba (ハシバ柾). While it is still a work in progress, I feel that the stories that have been finished are great enough on their own to be translated regardless of when the author writes the remainder of the stories. I’ve gotten permission from the author to translate and put these on my blog, and he was very excited about the possibility of his work being translated to English. As for the genre of this work, I’ll just say it seems to be set in the real world, but fantasy elements gradually creep in and eventually things get a little out-there. I have written a synopsis which gives away a little bit of the beginning of the story and talks about the series in a general sense. I highly recommend reading it after you read the translation of the first part, so I have put the synopsis at the very bottom. But feel free to check it out first if you want to get a taste of what is ahead. I have a few other older stories I am still considering going back to do more chapters, and a few new ones as well, so any feedback on this story will help me decide where to focus my energies. You can vote for this story on my survey here, or even better you can leave a comment on this post, or like it. As each of the short stories are a bit lengthy, I’ll be breaking them into sizeable chunks. 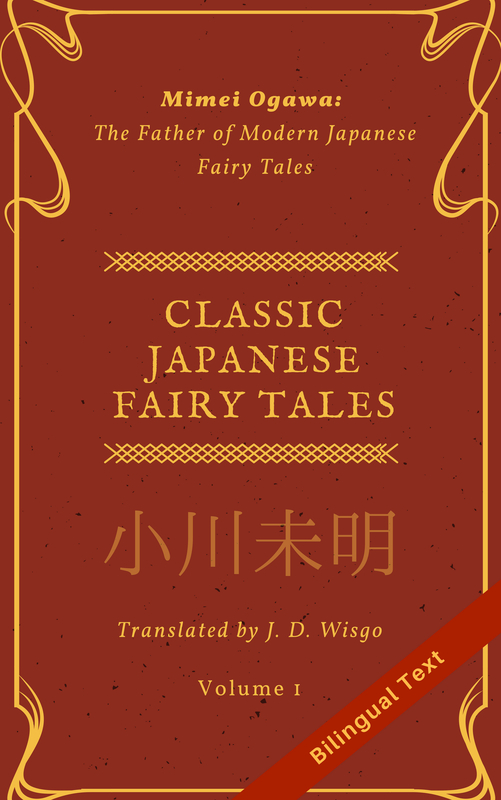 You can see the entire first short story in its original Japanese here. This page will eventually contain other translated portions. It’s been quite a long time–nearly 10 years–since I last set foot on this beach. I’ve been in the same company for 8 years now. Ecstatic that they finally let me have my own project, I failed to pay attention to the heavy responsibilities that go hand in hand with being a project manager. Unfortunately, my body wasn’t as strong as I had hoped. Too many days and nights of grueling overtime took its toll, and I ended up collapsing in a conference room, unconscious. Hence, this impromptu summer sabbatical. I’m sure everyone has lost faith in me. I’ll even be taken off the project–when I thought about this, my life and everything in it began to lose its meaning. Even worse than the frustration was a terrible sense of futility, permeating every cell of my body. Ever since I had begun this little vacation, it was painful each time I came across a suit-wearing businessman when I was out somewhere. At this rate, it didn’t seem like I would ever get any rest for my mind or body. So I took a short flight and returned to the village where I was born. I guess you could say I had simply wanted to get as far away from that company as possible. Of course, there were no supermarkets around, and the convenience store 15 minutes away by car was a luxury that nearly brought tears to my eyes. The house lights all go out in early evening, leaving only the sound of leaves rustling and birds chirping. Then, in early morning the senior citizens awake to start their gossiping and farm work…It was a typical country town like you would find anywhere. Accustomed to the hectic city life, I began to get restless soon after arriving. Around that time I remembered a place I used to visit frequently when I was young. If I remember correctly, there was a small white, sandy beach surrounded by rugged stones…Oh, and there were many shells strewn about. Back then I used to walk around and collect them. I think I’ll go and visit that beach once more. Before I knew it, I already was on the way there. A distance close enough to reach with a child’s legs would be even easier for an adult’s. I sifted through my childhood memories while wandering in search of that beach. As I traversed the twilit roads, my feelings of despondency strangely faded and were replaced by feelings of elation. There was the beach, exactly as I remembered it. Its pure white sand stood out in stark contrast to the surrounding jagged mountains, with numerous colorful shells strewn about…Nothing had changed–except that it all looked smaller than I pictured, probably due to me having grown in these years. On the way to becoming an adult, the familiar sights and sounds of my surroundings had gradually vanished. Actually, I had only thought they all vanished–that is, until I returned here. Even though I had changed so much, this place was exactly the same. It was as if this beach had somehow waited patiently for me all these years, and thinking about that made me extremely happy. Unable to contain my excitement, I took off my sneakers and socks right there and dipped my feet into the chilly ocean water. As if in response to my steps, ripples expanded on the surface of the water around my feet and the bottom of my pants got soaked from the water spray. Pure joy bubbled up from somewhere deep in my chest and overflowed in the form of a laugh. This felt wonderful. Listening to the sound of water splashing was really soothing. I immediately stopped splashing wildly around in the water and looked around. It was then that I realized there was a man sitting in the shade of one of the large rocks, and I felt my face burn with embarrassment. I was horrified that I’d been seen–by a grown man nonetheless–laughing at the top of my lungs and thrashing around on the beach at night. I rushed out of the water and recovered my socks and sneakers. In any case, I had to get out of here quickly. But if this guy told anyone else about what he just saw…That fear stopped me in my tracks. After thinking things through, I quickly approached the man and sat down next to him. He answered in a soft voice, without so much as even a glance in my direction. After that, he simply stared intently into the star-strewn sky in silence. The man neither smiled nor backed off; I guess it was because of the shock of seeing me like that. Beginning to grow suspicious, I gawked openly at him, knowing full well how rude it was. It was then that I finally realized how strange his appearance was. His grayish blonde hair extended to his shoulders, and his overcoat sported baggy, thick sleeves that loosely wrapped a slender figure. Bare legs protruding from it were covered in a thin layer of sand. Everything about this guy screamed being out of touch with the seasons–or with reality itself–and this somehow piqued my curiosity. Stars? It took me quite some time to realize he was talking about the meteor shower that was supposed to happen in six days. Now that I think about it, I remember some of the old folks in my neighborhood talking about it this morning. Until this moment it had completely slipped my mind. Around these parts you can get a great view of an annual meteor shower. In the village where I was born, they held a star festival right around this time each year. Of course, back in my youth I used to attend. But why had I stopped going? Oh right, it was probably because I had gotten sick of the traditional dishes they only served at the festival. Regardless, there was no doubt in my mind the meteor shower was six days from now. The man answered matter-of-factly, without even so much as a glance at me. The dolphins? What was he talking about? I wanted to ask him to explain, but when I saw his face beaming with confidence I just couldn’t bring myself to. Instead, I tried to follow his gaze, but it only led me to the expansive star-filled sky. Many of these stars were usually invisible, the faint light they emitted easily overtaken by the human-made glow of the city. Did he just say shining? At first I thought he was being sarcastic, but when I saw his innocent smile, I felt my tension loosen up a little. Yeah, there was definitely something weird about this guy. And yet I felt strangely comfortable sitting here beside him. He seemed about to say something in response but kept quiet. After a few moments of silence, he started giggling. Nameless? Did that mean he didn’t have a real name? I was also curious why he seemed to like my name so much. But before I had a chance to ask him, he seemed to lose interest in the conversation. There was something mysterious about this Nameless guy, but I didn’t sense any malice in him. As I watched him closely, I stopped caring about his identity or personal situation. Regardless of who he was, watching the stars by his side like this was actually kind of nice. I smiled; he sounded as if he intended to stay here for the next six days straight. But surely he meant that he would be stopping by each night. Tomorrow he would be here. And I’d be able to watch the stars with him again. For some reason this put my mind at ease. Perhaps because he had concealed his identity, I felt as if he might disappear into a puff of smoke at any moment. But I was happy just knowing I’d be able to bask a little longer in the comfort of this place I’d stumbled upon. I let him know I’d be here again tomorrow and then sprinted all the way home in my bare feet, carrying my socks in one hand and shoes in the other. The thought that I might scratch up my feet never even crossed my mind–I was too busy imagining what tomorrow’s night sky would be like. That’s actually a nice start. Hope this keeps on being this soothing. Really, if this was an anime, I bet the art would be gorgeous. Hey Rasta, thanks for the comment! Glad to know someone feels the same about this as me.